Upcoming messages in the series include…. My own prayer life has been greatly changed as I have studied to prepare these messages. However, the PRAY series is much more than a message series. It has revitalized my own prayer life, and I believe that it is the beginning of a prayer movement in our church. Make sure you are praying daily – preferably praying multiple times daily. Pray with your family. Pray with your church family. Study the Lord’s Prayer and Bible passages on prayer. Stay in the Word daily. Watch the messages on prayer. Finally, join me in praying at two specific times on Thursday – 6:00 a.m. and 12:00 noon. I will be praying at those times on Thursday. I will be praying through the Lord’s Prayer. I will be praying for our hurting country to experience a mighty revival. I will be praying for needs in my own family and church family. I will be praying for Lakeside as we look toward the future. I will be praying for friends going through difficult times. No matter if you can pray for five minutes or fifty minutes. Join me in praying. Pick the time that fits your schedule and join me. If you can, pray with me at both times. Just do it. Make it a priority! God is calling the church back to true dependence on Him and back to relying on His power rather than our own efforts. PRAY folks. PRAY. PRAY. PRAY. Put it on your calendar now and go see WOODLAWN! I want to use this space today to urge you to go see a movie the weekend of October 16-18, 2015. That is the premiere weekend for the movie Woodlawn in theaters. Last night, I was invited by a friend to attend a private screening of the movie with several members of the team and other local pastors. I must say that I was stunned (in a good way) by what I saw. Woodlawn isn’t just the best Christian-themed movie I have seen, but Woodlawn is one of the best movies I have ever seen, period. 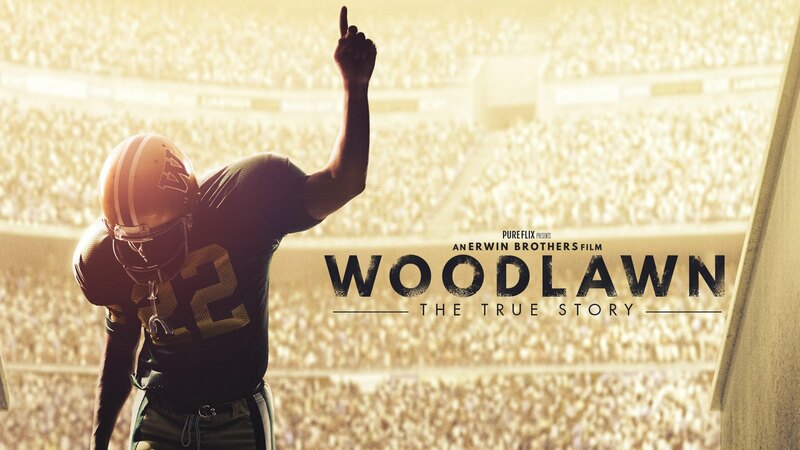 Most importantly, Woodlawn is a true story of what happened with the 1973-74 football teams at Woodlawn High School and how it affected the entire city of Birmingham. Yes, there is the football. Tony Nathan rose from obscurity to become a football legend in the state of Alabama. There is the climactic 1974 Woodlawn vs. Banks game that to this day holds the record for the largest crowd ever to attend a high school football game in Alabama. In addition, Caleb Castille, the son of Alabama great Jeremiah Castille, has the lead role playing Tony Nathan. The football scenes are intense and startlingly realistic. The movie was filmed on location here in Birmingham, so we actually see Legion Field, Woodlawn High School, etc. However, football is not the message of the movie, nor is it the message of the 1973-74 Woodlawn football team. That message is the power of the gospel of Jesus Christ. A great spiritual awakening and movement of God that began among the football team spread throughout the city. During a time of great tension, the only thing that could bring true racial reconciliation and love for one another was the gospel of Jesus Christ. Lives were changed. The city of Birmingham was changed. This movie absolutely doesn’t flinch. It not only shows the brutality of the game of football, but it also shows the ugliness of racism, abuse, and mistrust. It shows the struggle for teens to grow up in a fallen world. It shows the soul searching of our own individual hearts regarding our own prejudices. It shows the struggle to forgive. Most of all, it shows the hope of a better way – the love that only comes through the Lord Jesus Christ. It does all of this with a $25 million production budget – meaning that the production quality is completely on par with any Hollywood blockbuster. I’ve never seen anything like it. I wept. I cheered. I can’t wait to watch it with my sons. Join me in praying that the message of this movie will bring hope to our hurting country. The directors of the movie are praying for 3 million Christians to buy tickets the weekend of October 16-18. It is on my calendar, and unless we are providentially hindered, my family will be there. I intend to encourage my church family to be there and bring anyone they know who will come. Due to the Birmingham connection, I have no doubt it will be big in the Birmingham area, but it needs to be big in places like Huntsville, Nashville, Mobile, Memphis, and Atlanta.